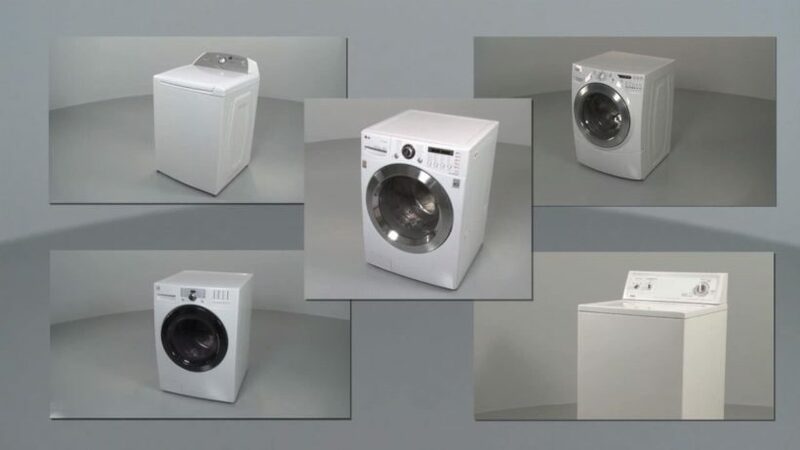 Have you ever wondered what is inside your washing machine that makes it clean your clothes? Your washing machine has probably washed your clothes hundreds of times for you without you knowing how. You just put the clothes inside along with a softener and cleaner, turn it on and just walk away from it to wait for it to finish. Before you attempt to wash your clothes, there are a few decisions you need to make. There are numerous settings that you can select to ensure that your clothes are washed properly without any disasters occurring such as them changing shape or size and having colored dyes running throughout the load. Modern washing machines are much easier to operate than the ones of old. You need to select the correct temperature for the clothes to be washed and also the right washing cycle for them. For example, if you are washing woolen items the temperature is usually displayed on the label of the garment, so you should follow the instruction that is compatible with wool. You should add a suitable detergent to the wash box. Now that you have the basics done you can start the wash. The door will automatically lock and will not open until the washing cycle is complete or you press the stop button. You will hear water will enter the washing machine which is usually coming from a hose that also feeds the cold tap on your sink. It enters via a solenoid valve at the back of the machine behind the panels. Most modern washings have only one solenoid for cold water entry while you can plumb the older machines can for hot water and cold water. The water travels through the soap box where it picks up the detergent before going into the drum. There is also a level switch in place that will deactivate the water inlet solenoid when the required level is reached. The water is then heated. There is a heating element within the drum of the washing machine which is used to heat the water. The element will continue to heat the water until the temperature reaches the setting that you selected earlier before starting the cycle. This temperature is controlled by a thermostat which will turn on and off the element as required. When the correct temperature has been reached the drum will then start to turn in one direction. If you observe your washing machine when it is in the cycle, you notice that the drum will stop and then start turning in the opposite direction. The speed of rotation and the duration may also vary. A drive motor and belt system helps to achieve the desired rotation of the drum. It again is controlled by the cycle you selected earlier. At this point in the cycle, wash the clothes sufficiently. The water now needs to be removed from the drum. There is a small extract pump located under the drum for this purpose. It will pump the water out and into a pipe which leads to a drain at the back of the washing machine. Even after the removal of the majority of water from the drum, the clothes will still be very wet. The washing machine will now go into a spinning cycle which will rotate the drum very fast which will displace most of the remaining water. Again the pump will remove the excess water. At this point, the washing machine will be satisfied that the selected cycle is complete, and it will now allow you to open the door. You should wash your clothes as you intended. If there is a problem with washing machine, you may have to get in contact with your local washing machine repair company.